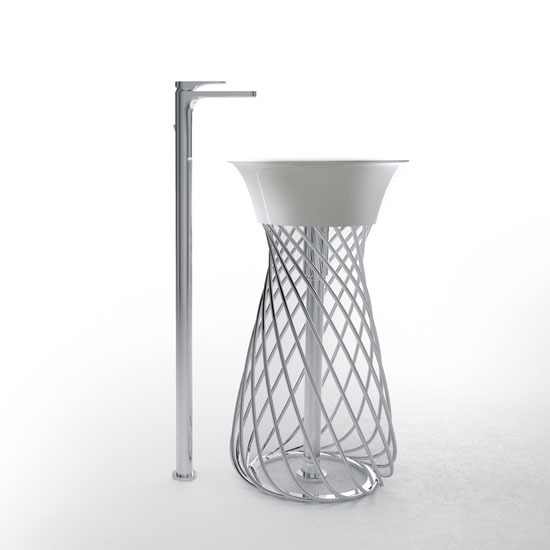 Wire freestanding washbasin is a modern interpretation of our traditional washbasin. 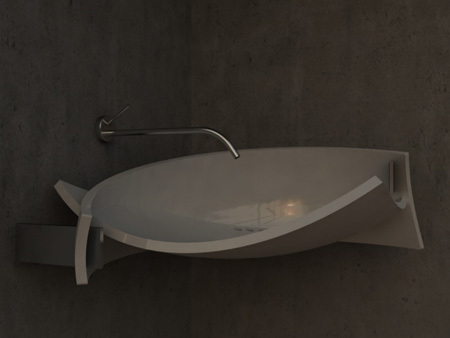 It is a combination of two elements, a basin which we can use as a countertop basin and also a structure constructed of a circular array of 18 steel rods. 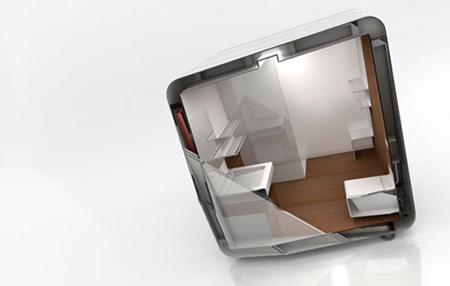 This unique and ingenious design provides an optical illusion of a meshwork. 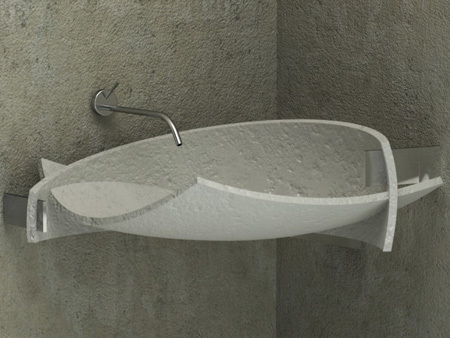 Meneghello Paolelli Associati has designed Wire washbasin for Hidra ceramica. 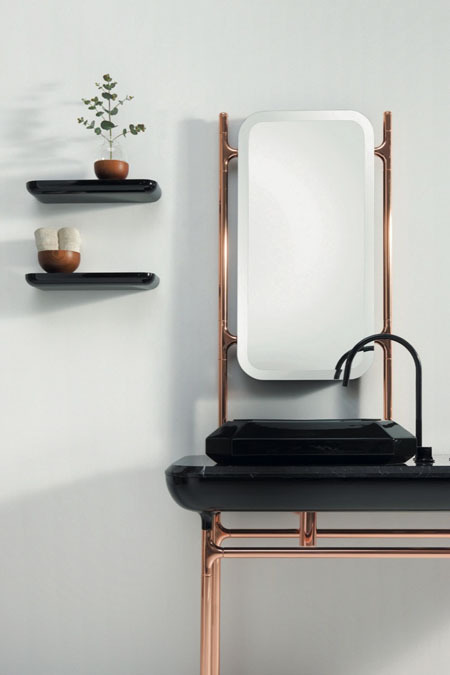 HomeDosh has received this Wire Freestanding Washbasin submission from the page ‘Submit Your Product‘ feature, we welcome you to submit your modern and unique products for publication. Finding for the best bathroom furniture and fixtures is hard especially these days that designers come up with eye-catching designs. 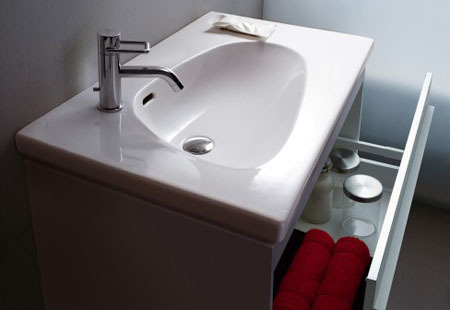 Majority of their design comes in sleek and stylish perfect enough to complete our elegant bathroom interior design. 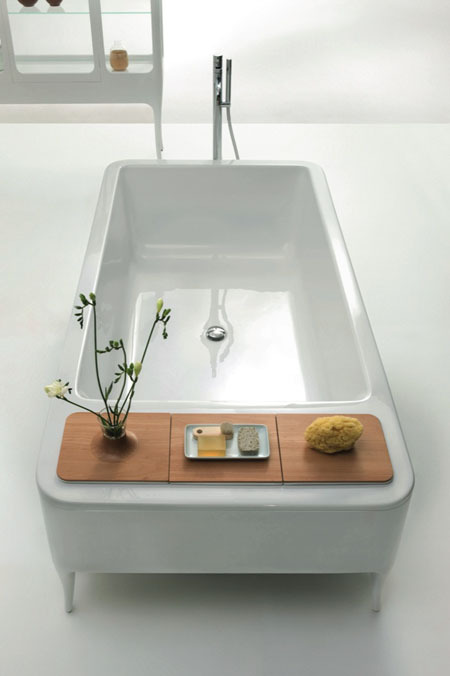 The Palomba Organic Washbasin is just a mere example of elegant and sleek bathroom furniture and fixtures. 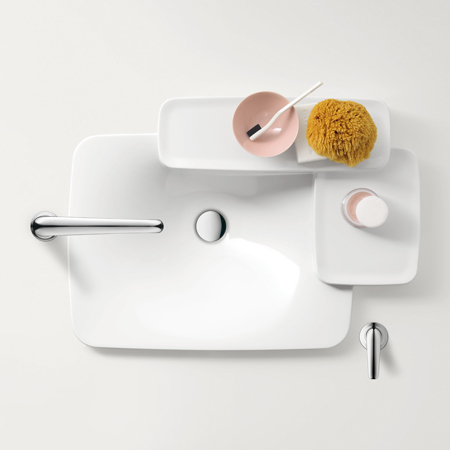 Designed for manufacturer LAUFEN, is a ceramic made washbasin that has elements designed in harmony to the rest of the Palomba collection. 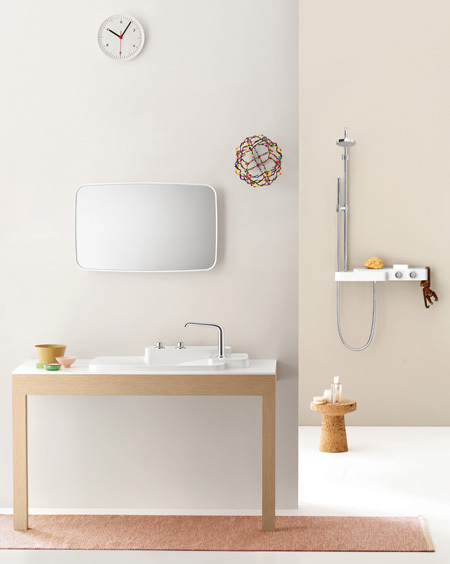 With this product and the rest of the collection where the Palomba Organic Washbasin is included, having a relaxing and rejuvenating will definitely be achieved easily. 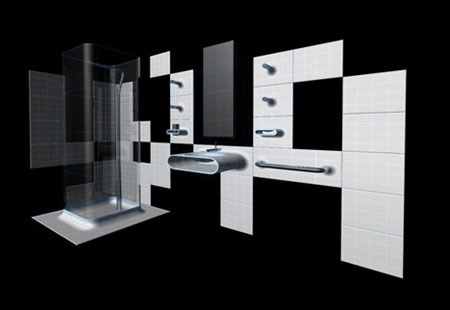 Luxurious bathroom interior and bathing experience is possible not only in five-star hotels but also right at the comfort of your home if you have your bathroom fixture designed by some world renowned designers like Sergei Tchoban, who had just recently designed an elegant bathroom range for Duravit. 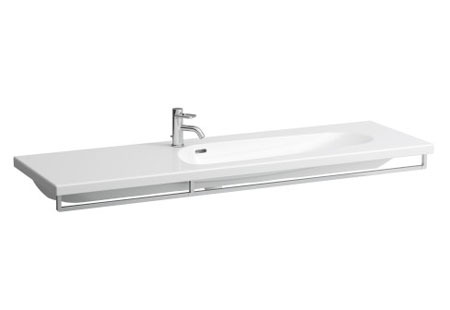 The Esplanade has elegant pieces like the sleek floor standing toilet, classy wash basin, elegant bathtub and more. Each piece of the collection perfectly match with each other and they surely will complement your elegant bathroom interior need. 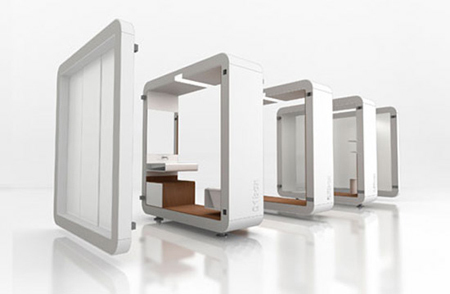 You can have your Esplanade in glossy silk finish or in a cool and comfortable oak wood paneling. If you are one of those Popeye big fans, then you will definitely love the Olivia Collection, as we all know that Olive is Popeye’s partner in the said show. 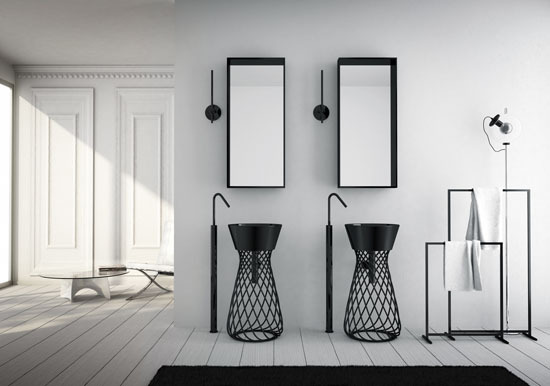 The Olivia collection consist of a sleek and elegant bathroom furniture and fixtures, which include a urinal, toilet and bedit, floor basin, and the wall mounted basin. All comes with clean lines and each of the collection will surely create an elegant and relaxing ambiance to any bathroom as the collection matches flawlessly with any bathroom interiors. 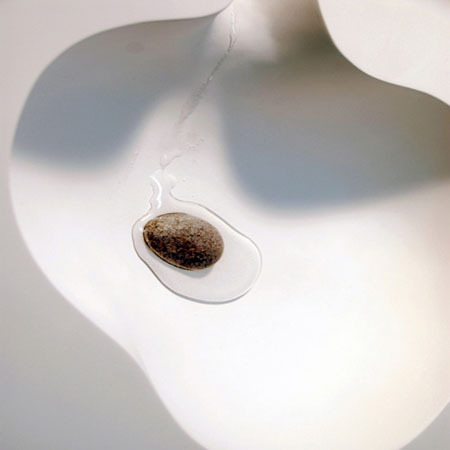 The unique Olivia urinal design creates a new impression to the traditional urinal that we currently have. 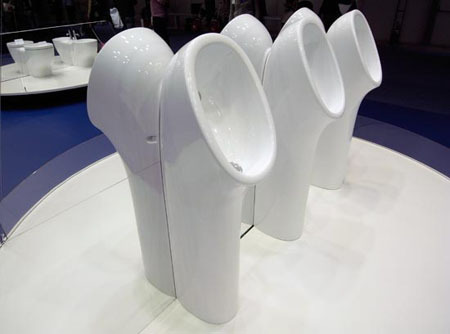 the Olivia Urinal is far way stylish and clean. I am a lover of elegant bathroom design. 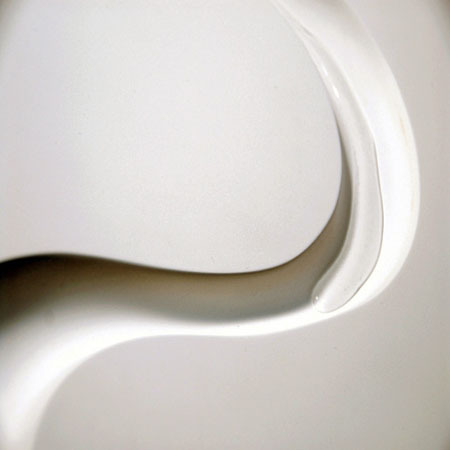 The moment I saw this beautifully designed lavatory called lavabo by Andrea Andretta, I cannot help but admire its elegance and style. This elegant lavatory design looks like an overlapping item. A steel was inserted in both ends that holds the lavatory in place. I find this one not only a design but a true sculpture by somebody with art and elegance in mind. 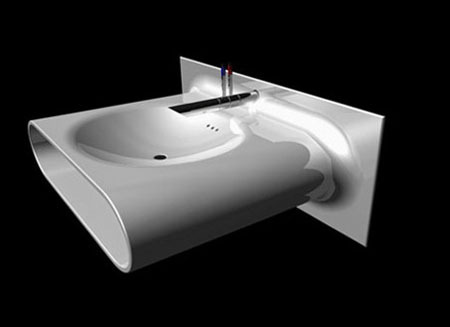 This is a perfect lavatory for home or to any business establishments like hotels, resorts and more. 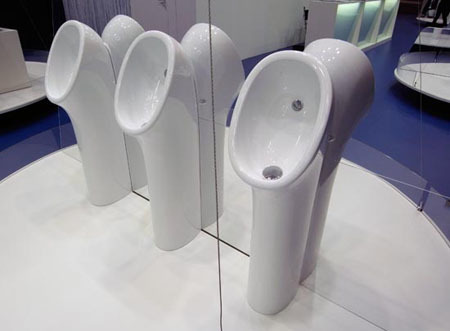 I would love owning one of these lavatories at home, for I am sure it will play an important role to my interior design.